There are still so many STARFISH, FIGHTING CONCHS and other bling on the beach left over from the storms I showed you from my video last week (CLICK HERE). Now there are STARFISH in the high wrack lines that are dried out and shells without any critters in them. It was like the perfect storm with variable conditions to make all this happen… it is mating season for FIGHTING CONCHS and HORSE CONCHS (so they were already out in masses in the shallow waters), we had days (actually weeks) of unseasonably high winds, high rough water (which washed all of those shells up high on the beach), crazy cold unseasonable temperatures (live creatures feel lethargic), then the receding gulf water after the storms calmed, then coupled with extreme low tides… this is how many of these shells were stranded high on the beach. Looking through some of them, we all found abshellutley gorgeous empty fighting conchs with bright purple apertures. They are a-mazing and seriously, they have this color opening!!! Oooooh, and look at Clark’s nice sized candy. Tom and Janet from NY (too shy for pics ;)) cleaned up with a bucket full of beauties on the new sand bar on the pass side of the jetty rocks. If you remember, we visited Lee and Susan a couple of time when they lived in Guantanamo Bay, Cuba and found some amazing shells. Over the weekend, Lee was asked to be a speaker to share his shell collecting experiences in that part of Cuba at the 2016 Florida United Malacologists meeting at the Bailey-Matthews National Shell Museum while they were here visiting. He did such a great job! Since Guantanamo Bay isn’t a place that most people get to visit, he described their shelling days of “life on the rock” with a fabulous slide presentation and brought examples of the shells they found in GTMO. He made it fun for us to go to our first “FUM” meeting. Thank you Colin, Rodger and Dr Leal (pictured with us) for organizing the event and for encouraging us to come. So after seeing Lee’s presentation and reminiscing about our visits to GTMO, I had to look at my blog posts again to take a trip down memory lane. It’s still so unbelievable we got to go there (thanks again Lee and Susan) you’ve got to check out our trips again too – just CLICK HERE . I really laughed out loud looking at one of my videos from the trip- I kept calling them “rocks” haha … it was actually a beach full of CORAL chunks but I guess I was so overwhelmed it all just felt like I was picking through a huge pile of rocks. Do you think I was a little excited??? I LOVE the purple color on the fighting conchs. Beautiful! I loved all of this post, thanks Pam. And the flashback to Guantanamo Bay was so cool — what unbelievable shelling! 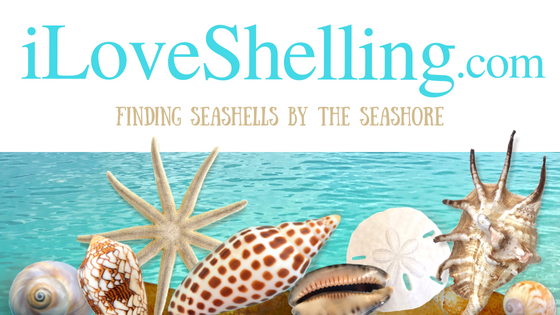 Thanks for sharing your shelling adventure on Guantanamo Bay!!! I’m loving the conchs with the purple coloring in the opening! I love that video from GITMO – ahhhh – I can feel your excitement!!! Thanks for the repost! I love your posts! Thank you for sharing your experiences so frequently! I’m hoping to head to Sanibel in March and I have a list of shells to find! I was extremely lucky and pleasantly surprised during my first visit.. I’m hoping to find more of what I came across during my last visit as well as some wentletraps, an alphabet cone, an angel wing and zig zag flat scallops. Do you have any tips for where to look for the zig zag flat scallops? Wrack line? In the ocean? Thank you again! I have found flat scallops at the water’s edge as well as in the wrack lines. One was right on top of a shell pile by the bridge on the Sanibel side of Blind Pass! Am I wrong or did Clark loose weight? Heehee- he looks good, right? (As she blushes) yes- he’s lost a few pounds. :) thanks Chris! So much fun reliving GTMO. It sure would have been interesting listening to Lee speak. I wish I had been there. Sanibel has sure been beautiful this week and I have found some things that are new to my collection. So much fun!! Pam, you made a good decision about today. However, I am sad not have received more of your excellent guiding expertise. Tom and I are going tomorrow anyway as I really want to experience someplace new. But, it sure won’t be the same without you!! Gulfside City Park was the place to be this morning. The beaches were pretty clean farther up at the West Gulf accesses, as well as farther down at the Donax St and Nertia St accesses. But not Gulfside. Plenty of live fighting conchs but if you check carefully there were plenty of empty ones too. Also a lot of paper figs and angel wings. I found a couple of cute mini tulips and empty urchins too. It was a great morning! Glad you were there and got some good stuff- but I’m sorry I missed you. I checked out blindpass- it was good too on the Captiva side. It’s so weird that west gulf has nada. Those beaches have been so good in the past but I guess the winds just haven’t been right for them. Haha I know Katherine- after having hours spent on finding purple mouth fighting conchs- I had to have a self intervention. Well, off to walk the beach again. Can’t stop looking for that perfect junonia!! P.S. Tell Clark not to give up on us. As soon as mother’s estate is settled, we’ll be in touch.